Want to get healthy, but can’t kick your morning coffee. Now you don’t have to. 7-Eleven’s new Fusion Energy drink is an herb-enhanced coffee that’s good for you and tastes great! 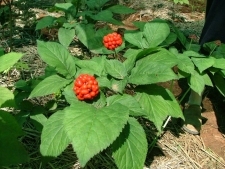 Their combination of guarana, ginseng, and yerba mate boost energy and sharpen mental illness. Visit your participating 7-Eleven stores or check out www.7-Eleven.com for more information.